I was so excited when I opened the package with my gray barn windy oaks cable knit pillow. I immediately placed it on my couch with other decorative pillows. It goes very well with the Strick & Bolton Stom white leaf textured accent pillow. Very comfortable, highly recommend this rectangular decorative pillows! Embrace sweater weather by adding this pillow to your bed, couch, or favorite chair. 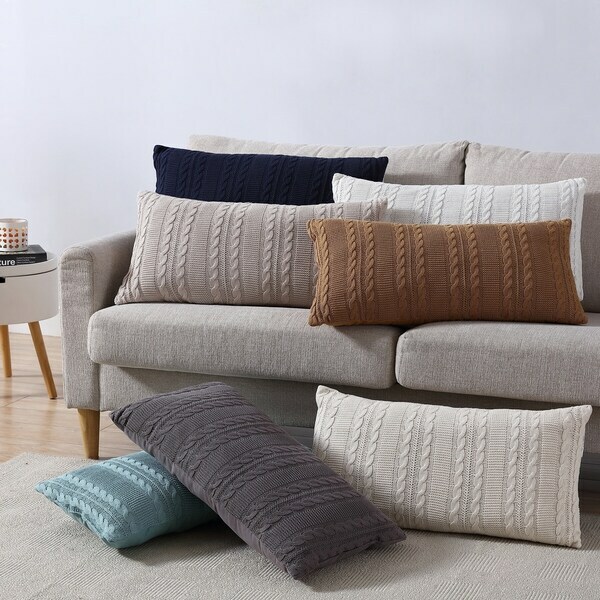 Available in a variety of colors to suit your style, this pillow measures 14 x 27 inches and features a classic cable knit design on soft cotton fabric.